This level has easy difficulty as you will get colorbomb from that you need to play with good strategy. For this level try to play near to colorbomb and take top colorbomb near to bottom colorbomb. Then combine with each other to break all candies with blockers. 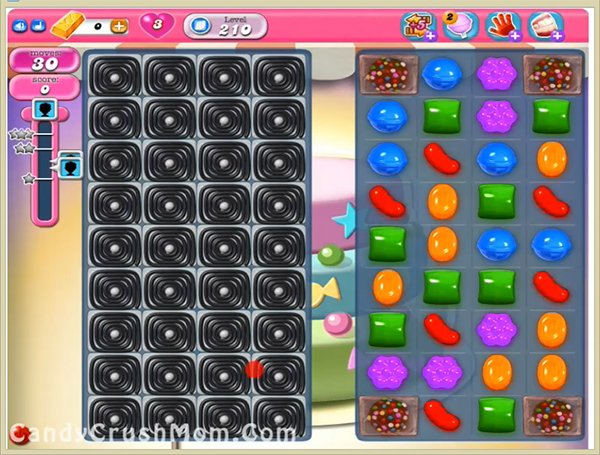 Then use other colorbomb and combine with striped candy to break all jellies within less moves. We completed this level with 199520 score using same colorbomb combo trick that help to reach requirement of this level with three star score.